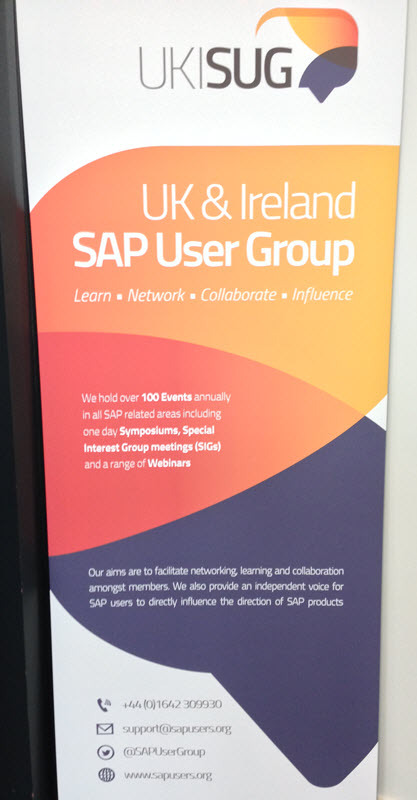 With over 4000 members registered with 500 companies across the UK and Ireland, the UKI SUG hold over 100 Events in all SAP related areas each year including one day Symposiums, Special Interest Group meeting (SIG’s) and a range of Webinars. 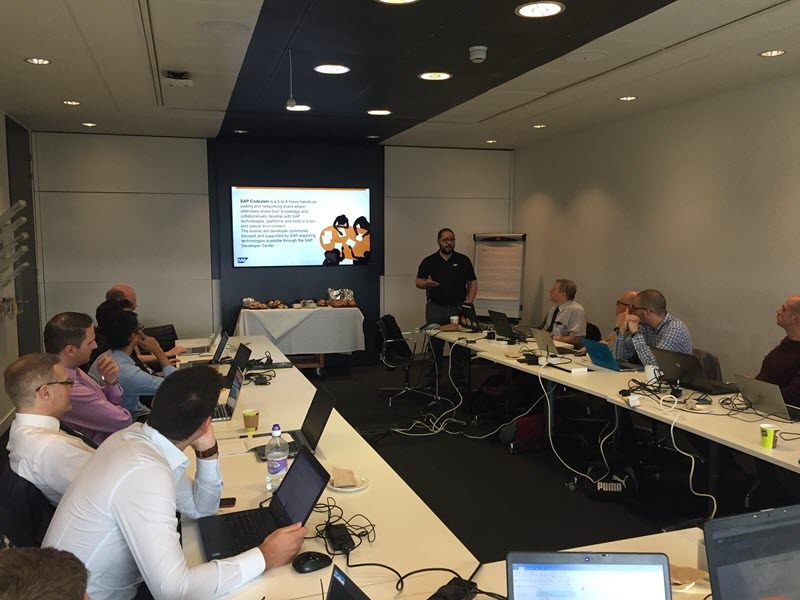 Not forgetting our showcase Annual Conference, UKISUG: Connect. 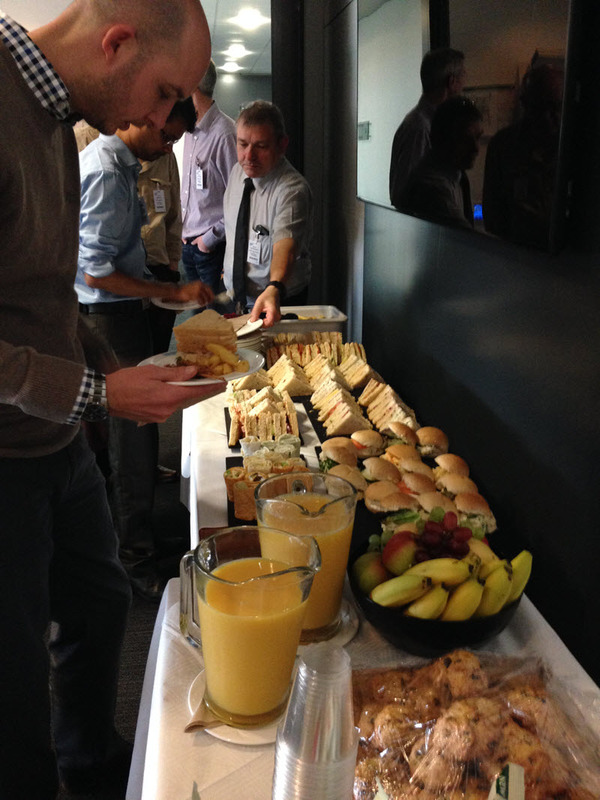 The main goal of the user group is to facilitate networking, knowledge exchange and best practice amongst members. We also provide an independent voice for SAP users in the UK and Ireland whilst providing a channel for SAP to communicate to customers. 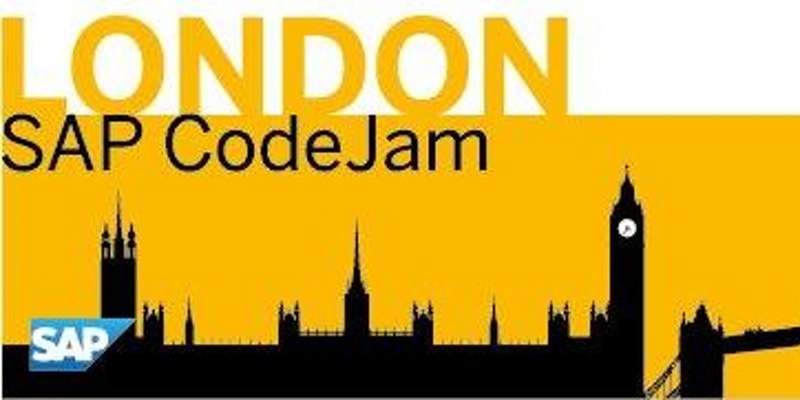 Recently, a brand new Developers SIG was launched, and was “kicked off” with a CodeJam on SAPUI5! 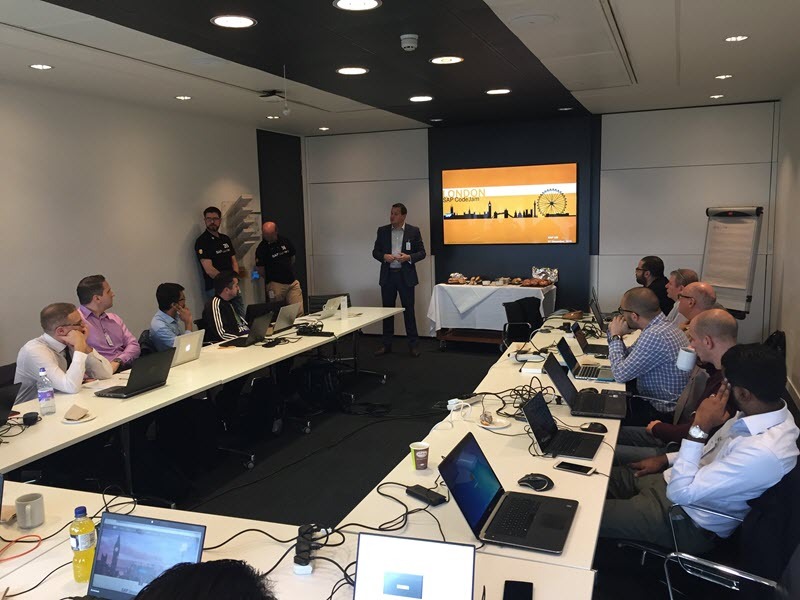 Interestingly, all participants were joining with a strong ABAP background, and some with already a strong and solid expertise on SAPUI5. I had also the pleasure to meet Former Member and Steve Rumsby who helped me drive the event and were really engaged in getting feedback from the audience on such events for the future. So, now I’m looking forward for the next one!! 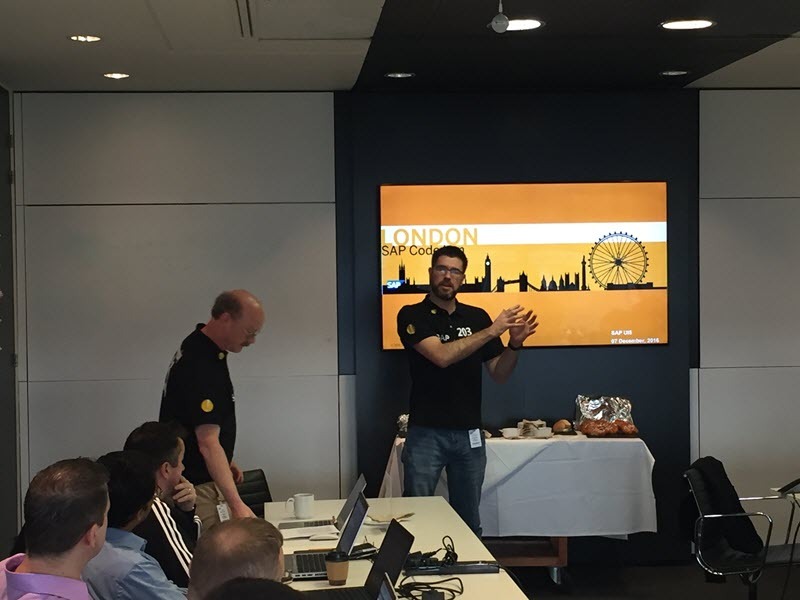 During the CodeJam, we provided access to useful online information, exercises and tutorials but also guidelines regarding the set of tools to use with the SAP HANA Cloud Platform and SAPUI5 and to build an application. 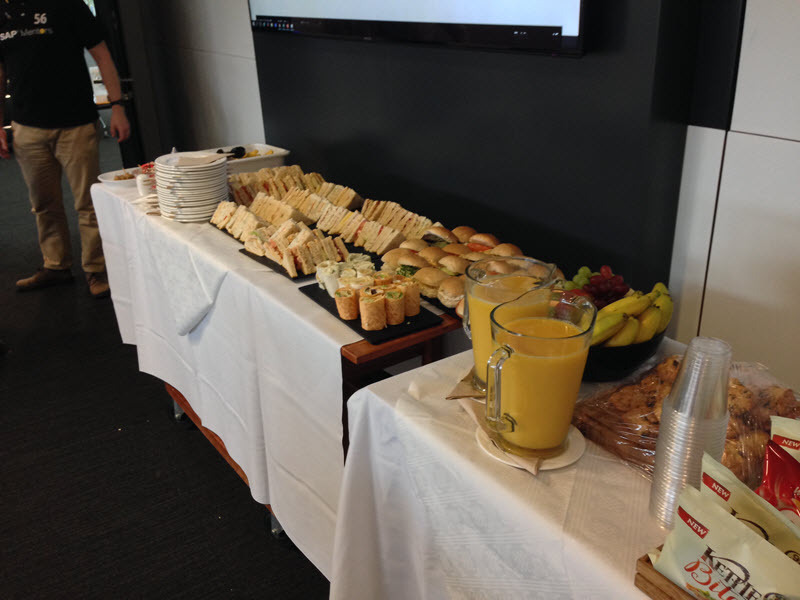 One key aspect of the session was not only to provide the audience with tips and tricks regarding the technology and the tools but also around common errors and ways to debug problems. 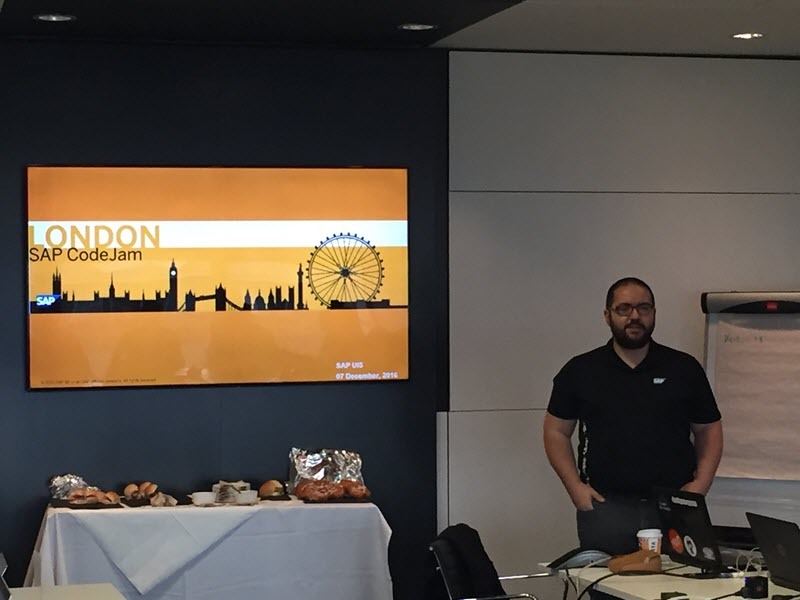 As stated before, a CodeJam is not successful unless the attendees manage to code and deploy an app and also share their knowledge and experiences around SAP and other technologies. 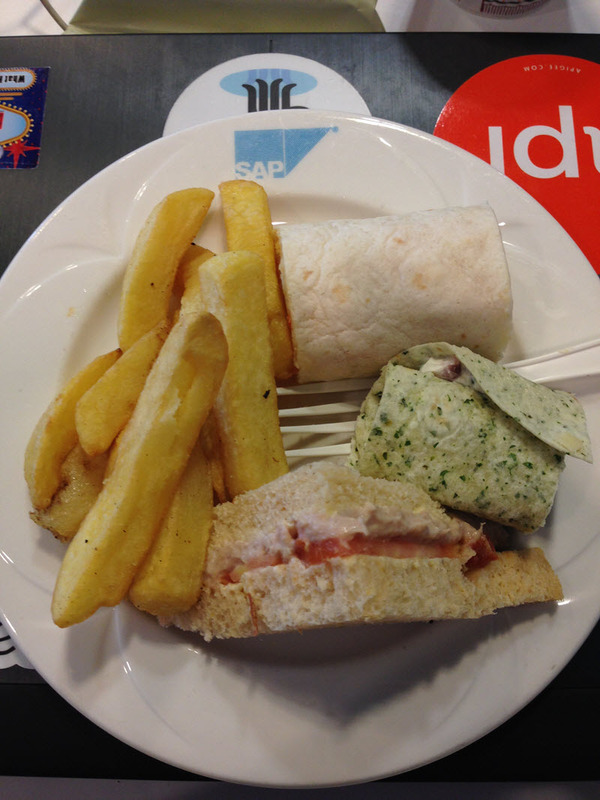 During the event we had multiple opportunities to share some of our “dev life” experiences, jumping from “ABAP” to “UI5”, deployment scenarios, etc.